There's nothing wrong with reproducing functionality. Almost every tech company in recent memory has been trying to pull features from its competitor's social platforms, almost since competition in the space first started. The relentless feature-cloning between Facebook Messenger and Snapchat is almost a meme at this point. Whether it is a result of convergence in design or an intentional effort to duplicate features, this is just the latest example in a long list. And, it won't be the last. With AMP and the feed behind it, Google's "Stamp" has a good chance of making an impact, too. 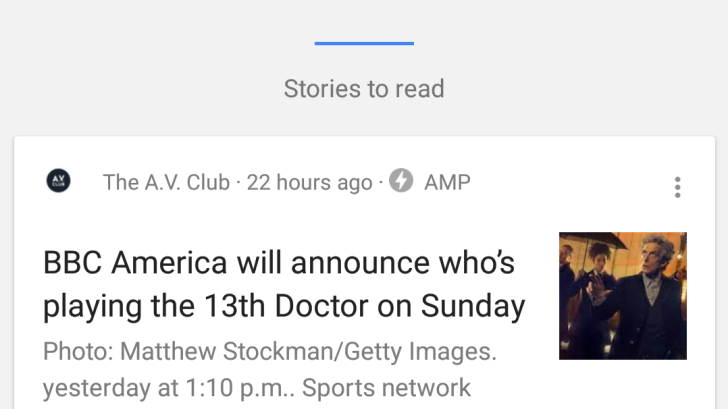 They're already plugged in with a ton of publishers, and AMPed stories have provided a fast and convenient user experience. Add in the fact that these Stamp stories will likely appear in search, and Google already has a larger audience than Snapchat could ever hope to have. The WSJ article also speculates that it's possible Stamped stories could appear on a publisher's own site, too. If you'd like to hear more, you'll have to check out the Wall Street Journal's article (note, it's behind a paywall) but details are still pretty light at this point. They do say that an announcement could be as early as next week. Hopefully, we'll hear more soon.